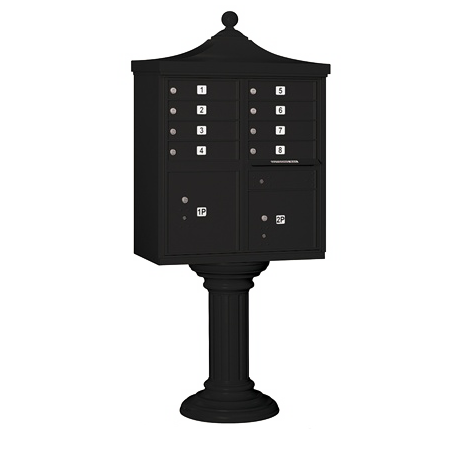 These standard and deluxe cluster mailbox units are officially licensed and authorized by the U.S. 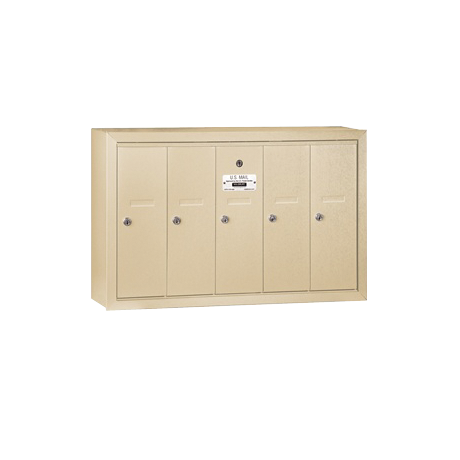 Postal Service and are ideal for commercial and residential developments. 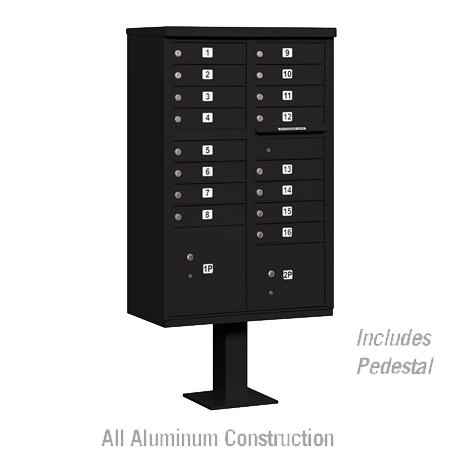 All models include a matching pedestal and are constructed of heavy duty aluminum with stainless steel hardware. 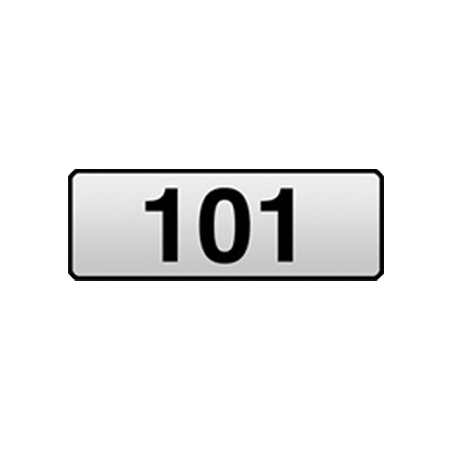 They feature a durable powder coated finish that is available in sandstone, bronze, green, black and white. 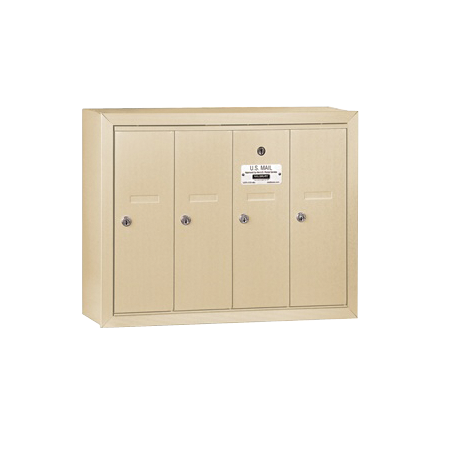 Each unit is accessed from the front through 2 easy opening master door panels and include either one or two parcel lockers. 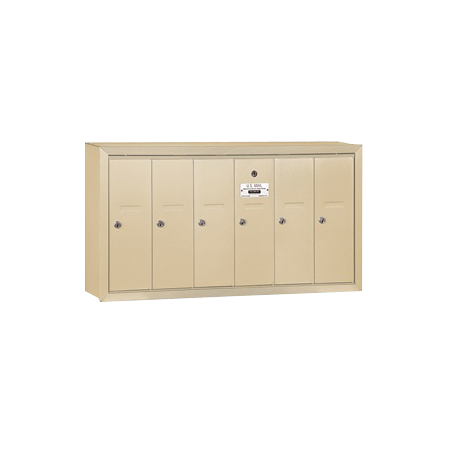 These parcel lockers offer tenants a convenient way to receive packages on site and are fit with a two (2) key security system. 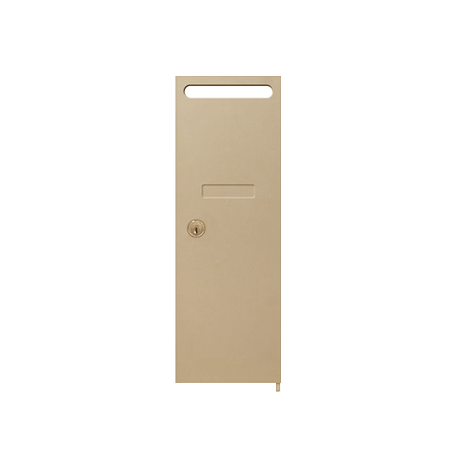 When an individual is delivered a package that is too large to fit in a mailbox, a parcel locker key is placed in the recipients individual mailbox. 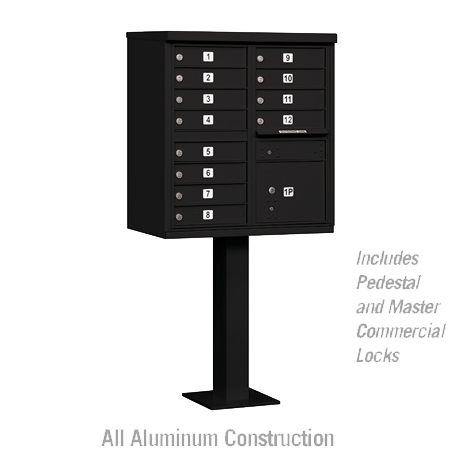 Once the parcel locker is opened, the key is automatically retained in the lock until it is removed with a control key. 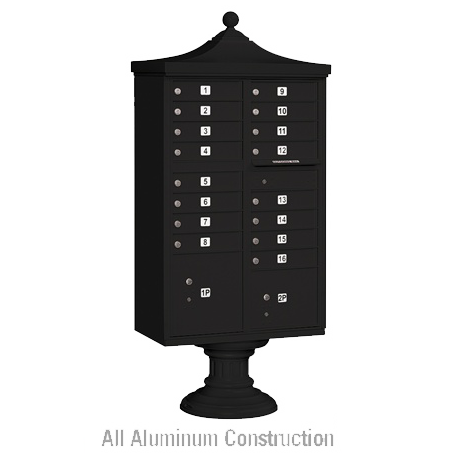 Our deluxe units include the standard cluster mailboxes with either eight (8), twelve (12) or sixteen (16) mail compartments and matching pedestal, an attractive decorative top and an elegant decorative pedestal cover. The decorative top easily attaches to the unit and includes a 3" diameter ball finial and an attractive sloping design. 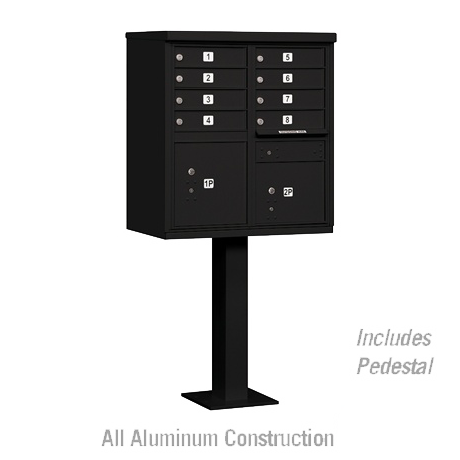 The pedestal cover attaches to the standard unit's pedestal and includes installation hardware. 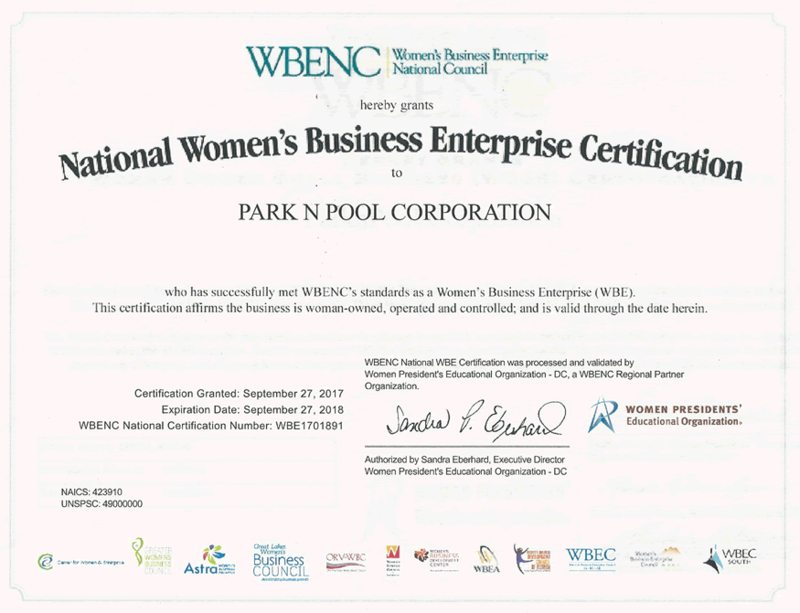 These additions can be ordered separately if an existing standard unit is already in place. For more information concerning these mailboxes and other mailbox options please call to speak with one of our account managers.